Hello dear community of yours, I have made several publications asking for your help due to the difficult situation because we are currently living in Venezuela. In my most recent publication the friends Imkeshav and CASHPLZ I have been asked how the bch could be of help and how it is used here in Venezuela. First of all I want to clarify that here in Venezuela there are no currency exchange houses. The foreign currency in this case the most used dollar only has access to the government. So that it reaches this? a loaf of bread in Venezuela is worth 100,000.00 bolivares (if with 5 days of hard work you buy a loaf of bread). One kilogram of flour to make our famous arepas has a cost of 225,000.00 Bolivares. A kilogram of beef has a cost of 800,000.00 bolivares almost a month of work for only one kilogram of meat. The cheese has a value of 750,000.00 bolivares. A simple package of diapers for babies of 32 units has a value of 3,500,000.00 (if more than two months of work for a pack of diapers). Now these are just some things of first necessity for a human being, but still need to pay for services (electricity, water, internet, etc ...) without mentioning the monthly tuition of children ranging from 400,000.00-650,000.00 Bolivares per month. The cost of a pair of shoes in Venezuela is 17,000,000.00-20,000,000.00 Bolivares. 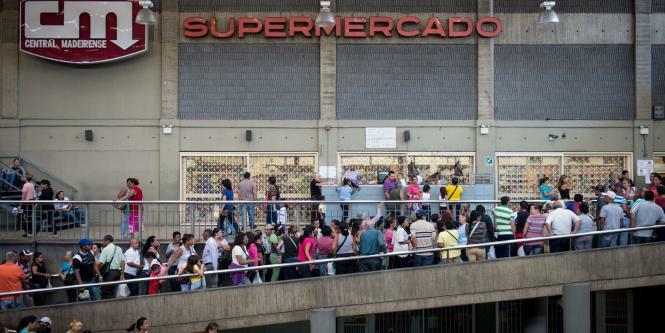 For a Venezuelan to buy food, he must make long lines of 8 hours or more to be able to buy his products. In recent years, due to the terrible crisis in my country, insecurity, violence, kidnappings, and extortion have increased by 600% in the last 5 years since Nicolas Maduro assumed the presidency. Many wondered why people gave their votes to Maduro, this is not really what happened in Venezuela those in charge of presidential, governmental elections etc ... it is the CNE (National Electoral Council) which is made up of people of the government. Basically the same government of Venezuela is the one that counts the amount of votes made by the people. People who do not agree with this are imprisoned or killed by the Venezuelan armed force. This is just one of the terrible things that we live here in Venezuela that is why I ask for help through these means. Now the question that I have been asked how I can use is in Venezuela and how can you help me? As I mentioned here in Venezuela there are no exchange houses and therefore the dollar does not circulate freely, however there is a "black market" that are people who work for social networks like facebook, twitter and instagram making bch, btc, eth changes ... to Bolivares by bank transfer. What do I plan to do with the help I receive? sadly my plan is to leave my country and go to a country with a stable economy like Peru, Chile or Uruguay. To work so that I can help my family stay in Venezuela and with hard work to be able to take them with me in order to live in peace. We all want to give the best education to our children and in my case it is the same, but how could I give education if I can not practically feed it due to our situation. That's why I ask you from my heart, please give me your support, help me out of this place, Sadly, Venezuela became hell on earth. Excuse me my english please. Thank you for this opportunity. Here is your $50 in advance for future articles revolving around stories around you and please let us know positive stories or how your friends/neighbors have come up with ways to survive and stretch their finances. All the best! Jesus man, this is really really awful. I read that inflation was something like 6000% last month ALONE in Venezuela, how does this effect conditions there? Also I'm most curious about how Bitcoin Cash can start to gain traction as something that people actually use in Venezuela, instead of just exchanging for Bolivares. Clearly, since your currency is near worthless (and gets more worthless every day) Bitcoin Cash would help because it's deflationary, and in theory have the opposite problem as your currency (if the price would stop dropping -- LOL). Do people have cell phones that they could download a digital wallet on? Clearly you've made a lot of money from this post (in relative, Venezuela terms), do people actively search for internet jobs similar to this? Now that people can get paid in BCH, it seems like some people could stop working in Venezuela, and start working for start-ups on the internet. Please post more articles like this, these are very interesting!